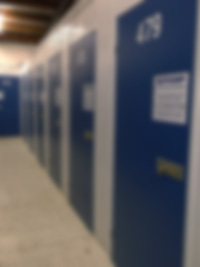 Access Ezy self storage units are ready for students both local and international for short term storage. Safe, secure storage. Call Today (09) 625 7923. When you are moving into campus housing or need a bit of extra storage to hold some of your possessions while you go to school, you need the very best storage option available in the Auckland area. You may be an overseas international student studying in Auckland that returns home during the holiday period and you need to put your items into storage while away for extended periods. Access Ezy storage is the number one storage provider for students in central Auckland and we offer extremely competitive and flexible storage rates in controlled secured storage units that are perfectly designed for student access. Our facility offers extremely easy parking, secure access and monitored storage units that can help you to not only store but also easily access any of the possessions that you wanted to place and storage. Taking advantage of our storage units will give you extra space in your dorm room or rent accommodation. With Access Ezy controlled storage we can provide quality storage for all of your important valuables including jewellery, fragile furniture, childhood mementos and more. You are issued with a PIN code and you supply your own padlock and key. Your paddlock and key which you supply, provides you with your personal and private security for your goods, with the unit being protected by the security code system for the ultimate in total security. We have storage units to suit any size that you may need and even rental resources that can help you with moving your belongings into storage and out of storage. Use our handy storage calculator to work out what size unit you require. Calculate your storage requirements - click here.